This entry was posted on September 7, 2012 by joeleagle. 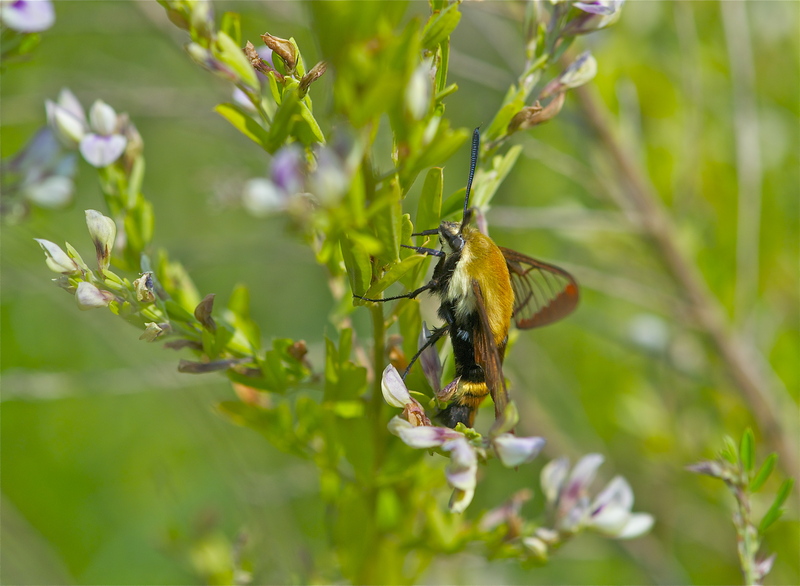 It was filed under Insects and was tagged with Bumblebee Moth, Hemaris diffinis, Snowberry Clearwing Moth. That is a strange looking insect. It’s like some mad scientist put him together with spare parts. Agreed Mike, it’s rare to see them sitting still, I just stumbled upon him while chasing around bees. What a cool moth! I wonder if I’ve ever encountered one and didn’t know what I was seeing.